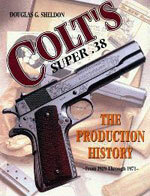 Super .38 serial number 36797 - There was a U.S. Government contract for two shipments of Super .38 pistols. 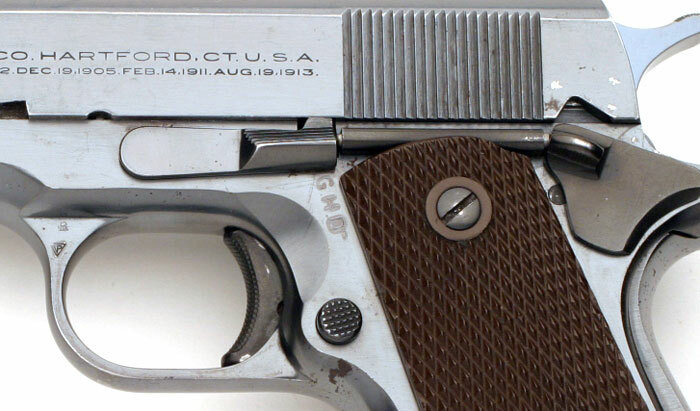 This pistol was one of 24 shipped June 19, 1945 in the first shipment to Resident Inspector of Ordnance, Remington Arms Company, Bridgeport, Connecticut. 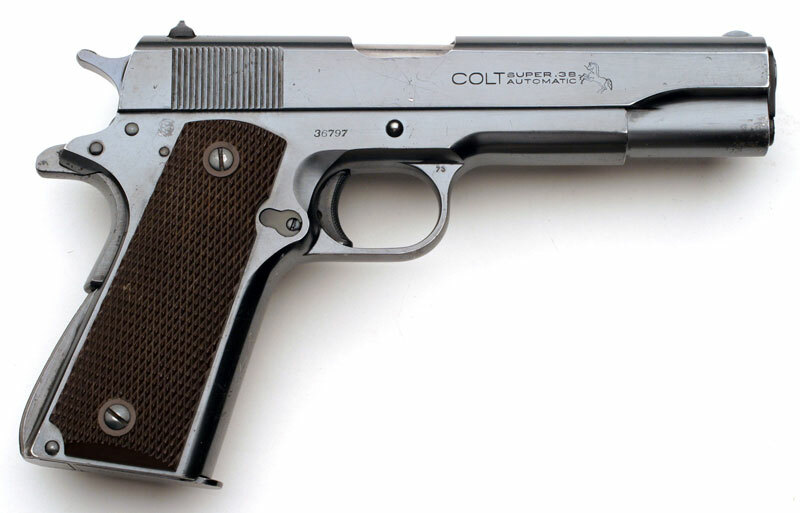 It was processed on Colt Factory Order Number 5295. 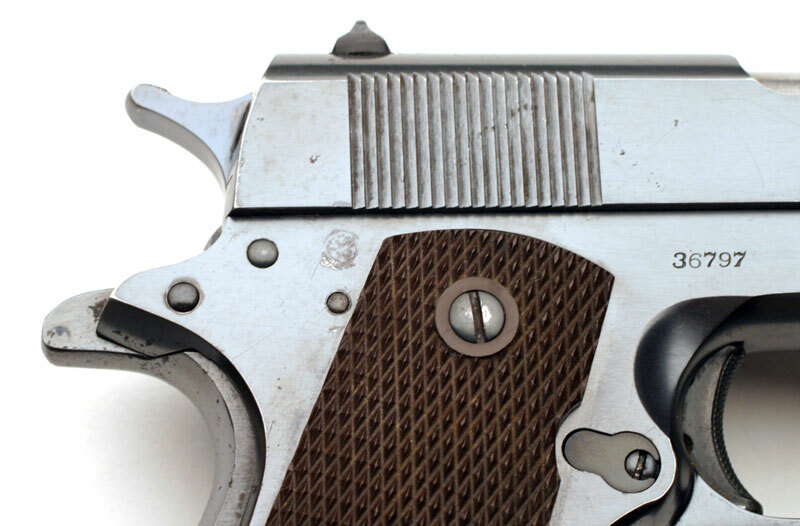 The pistol is "furnished with a new safety device," known to collectors as the Swartz Safety. On December 5, 1945, 20 of the 24 pistols were shipped to the Pentagon Building. 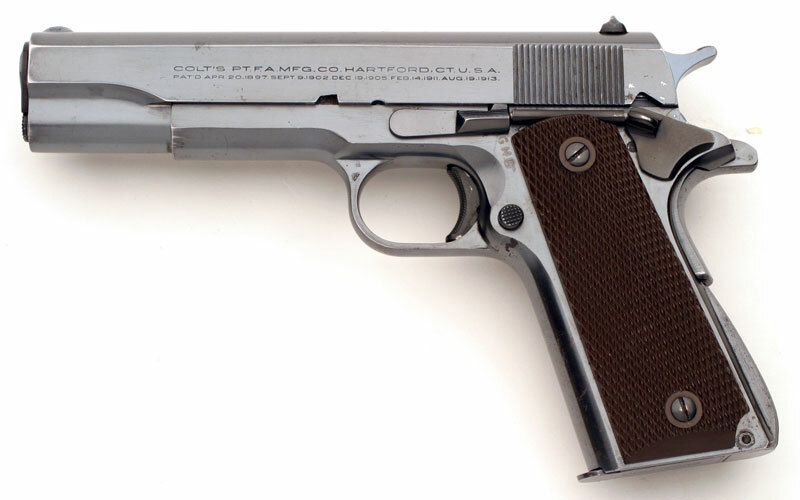 The balance of the guns (376) in the second shipment were sent on July 20, 1945 to the OSS, Fowler Building in Rosalyn, VA.
Super .38 serial number 36797 - G.H.D. inspector's mark for Brigadier General Guy H. Drewry, Army Inspector of Ordnance from June 17, 1942 to July 15, 1945 at the Springfield Ordnance District. The slide of this gun is numbered to the frame. 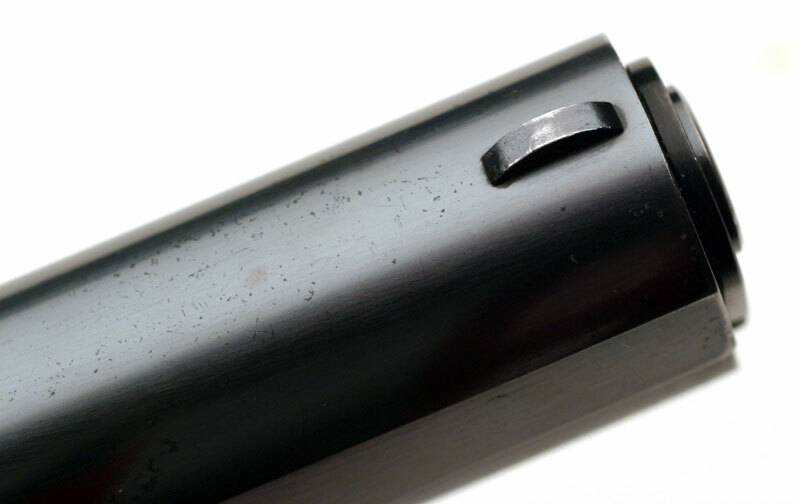 Slide stop is five groove type which was standard on the military contract Super .38 pistols. Super .38 serial number 36797 - shows blue finish on underside of frame. 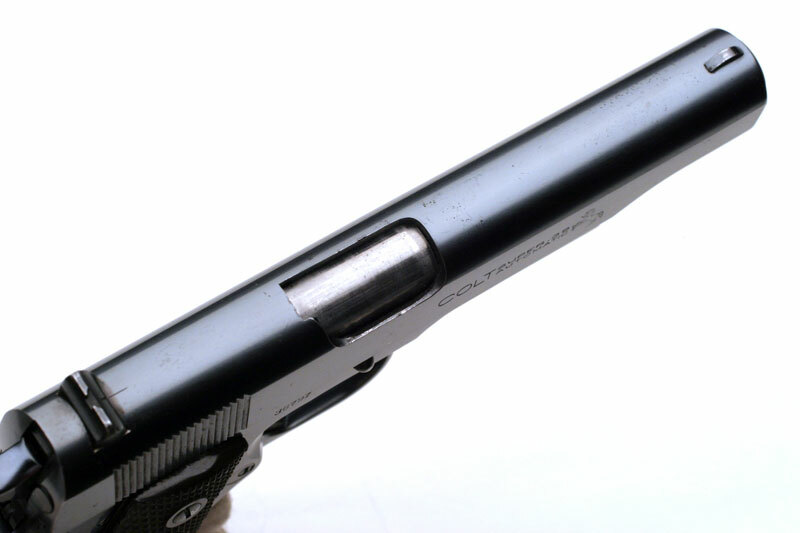 Super .38 serial number 36797 - view of hammer and rear sight. 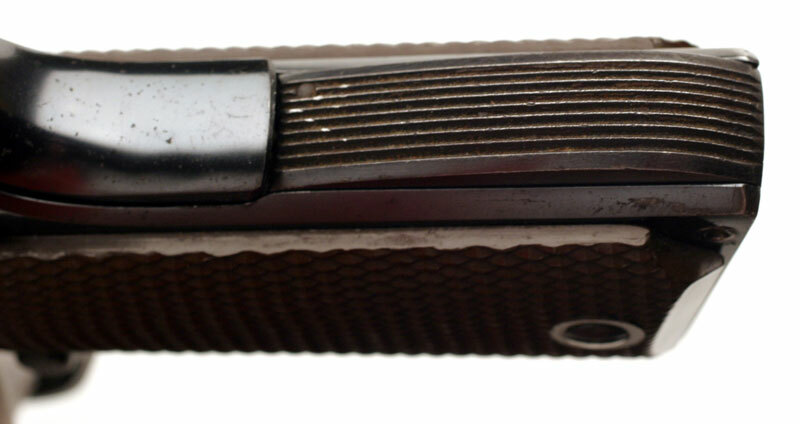 Super .38 serial number 36797 - view of front sight. 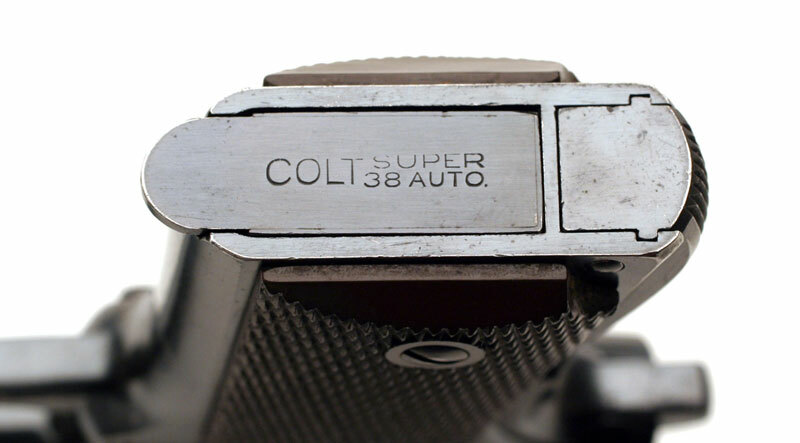 Super .38 serial number 36797 - base of magazine marked "COLT" with "SUPER" over "38 AUTO." Notice how base of the mainspring housing on this model does not have the lanyard loop. 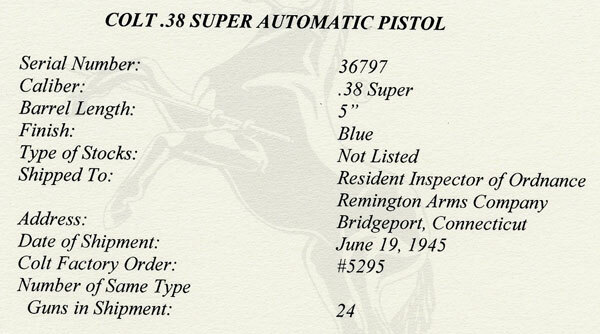 Super .38 serial number 36797 - Grooved mainspring housing was standard on the government contract Super .38 pistols.